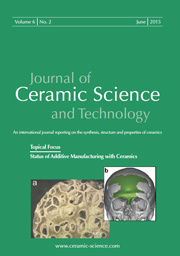 Göller Publishing house and the journal editor are highly interested to publish technical papers in JCST which reflect an excellent international level. We express our thanks to the referees which give their support to reach this objective. The following criteria should be fulfilled by authors who want to publish a paper in JCST. The papers must fit within the scope of the Journal and be of interest to its readers. They shall report original research and contain substantially new and interesting results of sufficient importance. In addition to the specified format the papers have to describe the state of the art with a thorough literature review, the purpose, the approach, results and consequences and how the present study differs from past studies. The experimental procedure has to be accurately described including the number of tests performed, the number of specimens used, their dimensions, the test equipment used etc. Micrographs and figures should be self-explanatory with captions that clearly convey their intended message. The results have to be logically discussed in a way that leads to exact conclusions. The manuscripts have to be written using proper English style and grammar.